When I made my first pair of mittens a few years ago I came across the problem of how to block them. Nowhere I looked seemed to have any information on the best way to block mittens: should they be pinned out flat or simply shaped when wet, or something else? 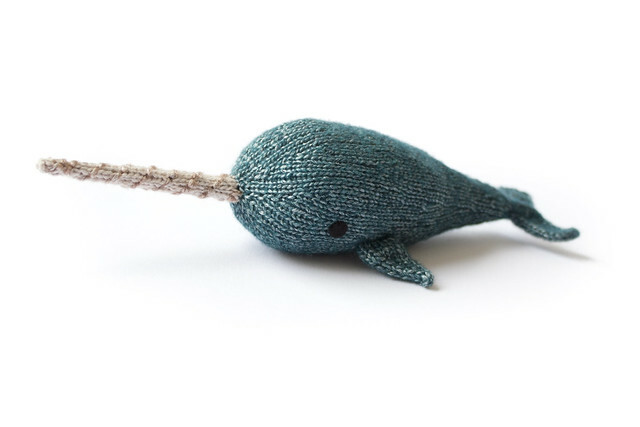 I decided that the best ting to do would be to block them much like you would a pair of socks, over some mitten shaped form. But I had never seen such a thing for sale and thought it best to just make my own from my own hand measurements. 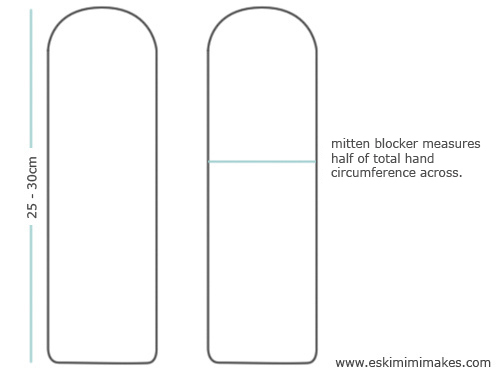 Much like my sock blockers tutorial, the first step to a custom fit pair of handmade mitten blockers is to get the correct measurements for your hand or the hand of your recipient. 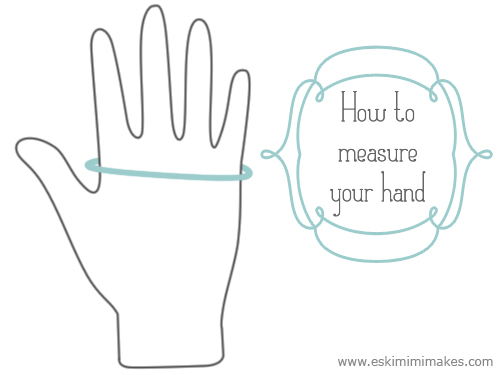 You want to measure around the widest part of the hand, above the base joint of the thumb. 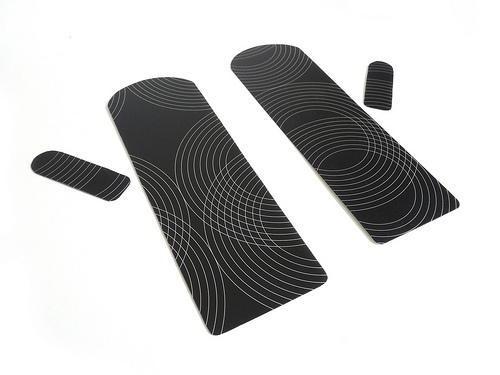 Next, either using a piece of very firm cardboard or a plastic placemat such as those that can be found at Ikea, cut two 25-30cm long strips that are exactly half the circumference of your hand wide, forming two long rectangles. At the top of each of these rectangles cut a rounded top which you can either draw freehand or using a mug or other circular object as a guide. Slightly round off the bottom two corners as well, to prevent any sharp corners from catching your knitting. 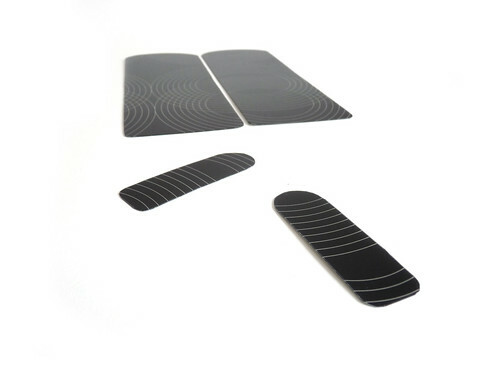 Repeat this same process with the measurement of the thumb, making the rounded end rectangles that you cut for the thumbs between 8-10cm long. These thumb pieces should be cut completely independently from the main form pieces and not joined to them in any way. You should now have four pieces of cardboard or plastic matting. If using cardboard you should now cover your mitten blockers in sticky backed plastic or a layer of sticky tape to help waterproof them. The thumb pieces are kept separate from the main hand of the mitten to make sure that the mittens will actually fit on the blockers, as with an attached angled thumb it would be impossible to fit the wet mittens onto the plastic forms. The great thing about making mitten blockers this way is that they can be used both for traditional mittens and fingerless ‘mitts’ and also work perfectly for mittens with thumb gores/gussets as well as afterthought or ‘peasant’ thumbs, as the thumb piece can be placed independently. The making of the mitten blockers differs from the sock blockers in that there is no allowance made for negative ease. This is because generally mittens should not fit the hand ‘tightly’ not be restrictive in any way, just fit the hand ‘like a glove’, to the perfect measurements. Please feel free to link to this tutorial as you wish, but please do not reproduce my content elsewhere without my permission. Thanks for this tutorial. It prompted me into making some blockers this morning as I actually had some handy thick plastic from last years calendar cover that I’d been trying to find a use for. I KNEW it would be useful for something! Do you recommend doing the same thing for fingers, or adding the four fingers to the end and still keeping the thumb separate? I’m a little confused. You say half of the hand circumference. If my hand is 7.5, the width of the mitten blocker would be 3.75″? Hi Jane, yes, that is correct – the mitten blocker should be as wide as half the measurement around your hand. Hmm, I wouldn’t make the block as wide at the wrist level. I am extremely annoyed with most mittens being far too loose around the wrist. Some are even completely straight, whereas the wrist is always narrower than the palm.